A cashmere wool sweater is considered a luxury product in the European market. Even though Mongolia has the second largest cashmere wool output in the world, the infrastructure in Mongolia is not developed enough to produce them. 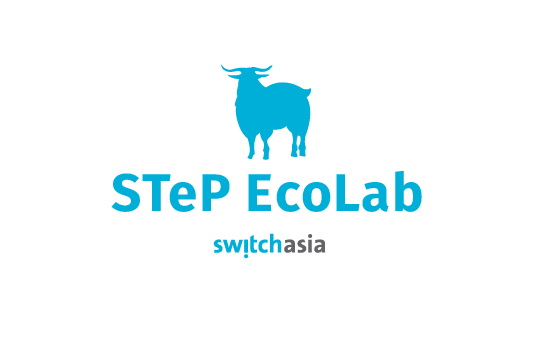 With the STeP EcoLab Mongolia Project, cashmere goat farmers and local processing facilities will be supported through sustainable practices to increase product value and improve the herders’ future livelihoods. The Mongolian cashmere wool sector is an important pillar of the country’s economy, supporting about a million nomadic herders. Unfortunately, production practices do not sufficiently consider social and environmental aspects as demands increase. Overgrazing, deforestation and erosion of the landscape, especially due to goat farming, pose increasingly severe threats to the herders’ livelihood. While the farmers also struggle with disappearing pastureland, changing practices is difficult. They lack support and an understanding of how to implement more sustainable production processes. The goal of the project is to enable cashmere goat farmers to recognize the importance of responsible production patterns for their long-term development. It also aims to demonstrate how sustainability can effectively and efficiently improve their livelihoods. Based on an in-depth, on-site analysis of the sector, the project partners will jointly develop capacity building measures for all actors: farmers, financial intermediaries and regulatory institutions. A voluntary code of practice will also be developed with the industry’s stakeholders. This cooperative establishment of a feasible roadmap is crucial for ensuring continuous and long-term improvement of the industry’s ecological and social performance. In order for these tools to successfully establish more sustainable value chains, the market needs to recognize these practices. To that end, a second and equally important pillar of the project is to raise consumer awareness of the efforts being made towards producing more sustainable products. Based on the voluntary code of practice, together with industry stakeholders, the project partners will develop a label to help European consumers recognize the industry’s efforts. The ultimate goal of the label is to give both consumers and producers a way to value and identify goods produced through more responsible production practices.